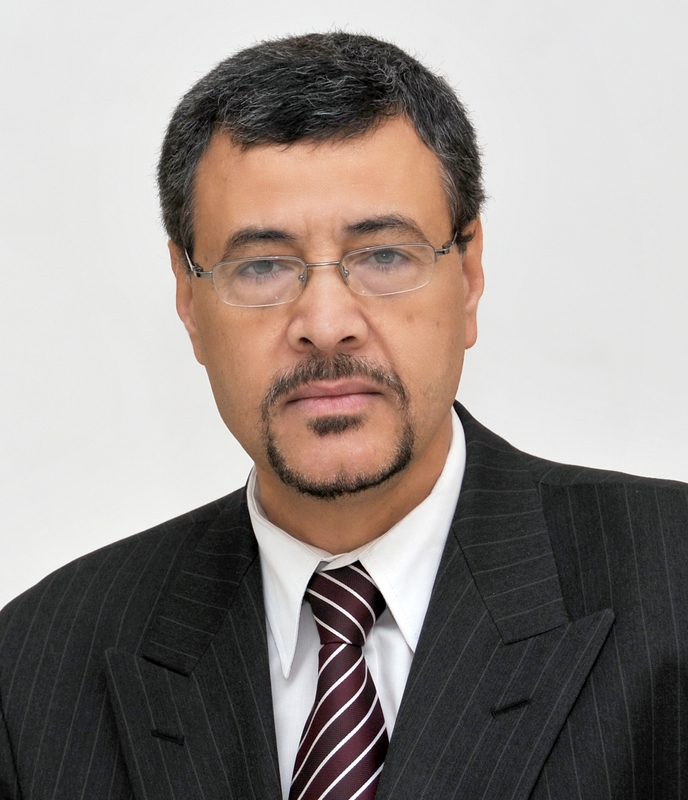 Prof. Elhadi H. Aburawi (MB BCh, MMedSc, FRCPI, FRCPCH, FACC, PhD). He has received his PhD from Lund University, Lund Sweden. He worked at University College Dublin Hospital, Ireland, Leeds University Hospital, UK and University Children Hospital, Tripoli, Libya. He joined Lund University Hospital, Sweden from 2001 - 2009. He is Visiting Professor in Faculty of Medicine, Tripoli University, Libya. He is Professor at UAE University and Pediatric Cardiologist at Al-Ain Hospital and Sheikh Khalifa Medical City, Abu Dhabi, UAE since 2009. 1)Congenital Heart Disease and its management and Molecular genetics. 4)Endothelial Function and Cardiovascular Risk Factors in different systemic diseases. 1. Aburawi HE, Aburawi EH*, Bagnall KM, Bhuiyan ZA. Molecular Insight into Heart Development and Congenital Heart Disease: An update review from the Arab countries. Under Review. 4. Aburawi EH*, Munkhammar P, Carlsson M, El-Sadig M, Pesonen E. Coronary flow dynamics in children after repair of Tetralogy of Fallot. Int J Cardiol. 2014; 1;172(1):122-6. 5. Dhanasekaran S, Nemmar A, Aburawi EH, Kazzam EE, Abdulle A, Bellou M, Bellou A. Glyburide, a K(+)(ATP)channel blocker, improves hypotension and survival in anaphylactic shock induced in Wistar rats sensitized to ovalbumin.Eur J Pharmacol. 2013 Nov 15;720(1-3):166-73. 6. Aburawi EH*, Souid AK. Lymphocyte respiration in children with Trisomy 21.BMC Pediatr. 2012 Dec 18;12(1):193. 7. El Oakley RM, Ghrew MH, Aboutwerat AA, Alageli NA, Neami KA, Kerwat RM, Elfituri AA, Ziglam HM, Saifenasser AM, Bahron AM, Aburawi EH, Sagar SA, Tajoury AE, Benamer HT. (2013). Consultation on the Libyan health systems: towards patient-centred services. National Health Systems Conference. Libyan J Med. 8. doi: 10.3402/ljm.v8i0.20233. 8. Elhadi H. Aburawi. (2013) Call for Multinational Studies of the Epidemiology of Congenital Heart Disease in the Arab World. Ibnosina J Med BS 5(1):1-3. 9. Aburawi EH*, Qureshi MA, Oz D, Jayaprakash P, Tariq S, Hameed RS, Das S, Goswami A, Biradar AV, Asefa T, Souid AK, Adeghate E, Howarth FC.Biocompatibility of CalcinedMesoporous Silica Particles with Ventricular Myocyte Structure and Function.Chem Res Toxicol.2012 Dec 13. 11. Elhadi H. Aburawi*, Hassib Narchi, Abdul-Kader Souid.Persistent Wandering Atrial Pacemaker After Epinephrine Overdosing – A Case Report. BMC.2013. Pediatrics. 12. Aburawi EH*, MD, PhD;Malcus P, Thuring A, Fellman V, Pesonen E. Coronary flow in Neonates with Impaired Intrauterine Growth. J Am SocEchocardiogr. 2012 Mar;25:313-8. 13. Almughrebi Z, Reyani A,Shah A, HabasE, Aburawi E*. Down syndrome and Congenital Heart Disease---Why the Regional Difference as Observed in the Libyan Experience?Cardiovasc J Afr. 2011;22:306-9. 14. Aburawi EH*,Pesonen E. Pathophysiology of coronary blood flow in congenital heart disease. Int J Cardiol. 2011;151(3):273-7. 15. Aburawi EH*, Berg A,Pesonen E Effects of Balloon Valvuloplasty on Coronary Blood Flow in Neonates With Critical Pulmonary Valve Stenosis Assessed With Transthoracic Doppler Echocardiography.J Am SocEchocardiogr. 2009;22:165-9. 16. Aburawi EH*, Liuba P, Pesonen E. Coronary blood flow by transthoracic echocardiography in children with endomyocardial fibrosis. PediatrCardiol.2009;30:371-3. 17. Aburawi EH, Berg A, Pesonen E. Coronary flow before and after surgical versus device closure of atrial septal defect. Int J Cardiol.2009;135(1):14-20. 18. Aburawi EH*, Marcus Carlsson, Ansgar Berg. Coronary Artery Stenosis in symptomatic Child after Arterial Switch Operation: Detection by Transthoracic Colour-Flow Doppler Echocardiography.ActaPaediatrica. 2008; 97(3):376-8. 19. Aburawi EH*. Factors Affecting Coronary Flow in Children, Lund University Hospital , Sweden, Ph D Thesis, June 2007. 20. Aburawi EH*, LiubaP, Berg A,Pesonen E. A transthoracic Doppler echocardiography study of C-reactive protein and coronary microcirculation in children after open heart surgery. Cardiol in the Young. 2007 Oct;17(5):472-7. 21. Liuba P, Aburawi EH, Pesonen E, Andersson S, Truedsson L, Yla-Herttuala S, Holmberg L. Residual adverse changes in arterial endothelial function and LDL oxidation after a mild systemic inflammation induced by influenza vaccination. Ann Med.07;39(5):392-9. 22. Aburawi EH*, Berg A, Liuba P, Pesonen E. Effects of cardiopulmonary bypass surgery on coronary flow in children assessed with transthoracic Doppler echocardiography. Am J Physiol Heart Circ Physiol. 2007;293:H1138-43. 23. Aburawi Elhadi H*. The Great Professor Ibnosina (Avicenna). Libyan J Med. 2007 Sep 1;2(3):116-7. doi: 10.4176/070515. 24. Aburawi EH*, O'Sullivan J.Relation of aortic root dilatation and age in Marfan's syndrome. Eur Heart J. 2007 Feb;28(3):376-9. 25. Aburawi E*, Thomson J, Blackburn M. Familial idiopathic atrial fibrillation with fetalbradyar*rhythmia. ActaPaediatr. 2006 Dec;95(12):1700-2.